Season 3 Of The Prairie Diner! Check it out, Tuesdays at 10.30 on City Saskatchewan. 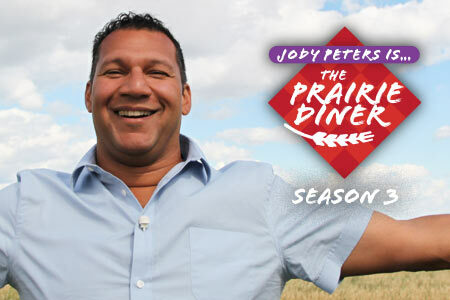 In Season 3 he's hitting the road, looking for the hidden gems of food and fine folk across the Canadian Prairies. So come along for the ride, have fun, and above all - Don't Panic! The Prairie Diner is produced by Zoot Pictures Inc. and Jackalope Media Inc. in association with City Saskatchewan and Rogers Media Inc. With the financial assistance of the Canadian Film or Video Production Tax Credit and the participation the Manitoba Film and Video Production Tax Credit. Produced with the financial participation of the Creative Saskatchewan SaskTel Equity Investment Fund. Production made possible through the Screen-Based Media Production Grant Program.